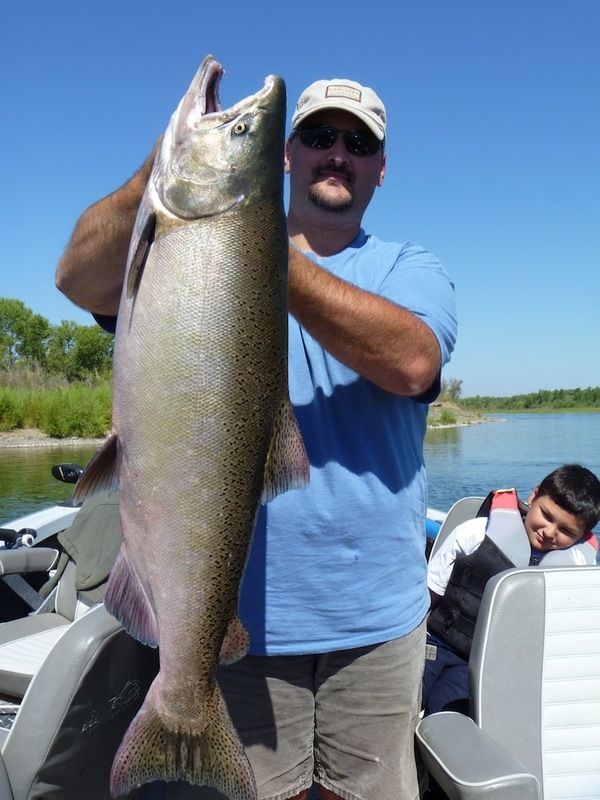 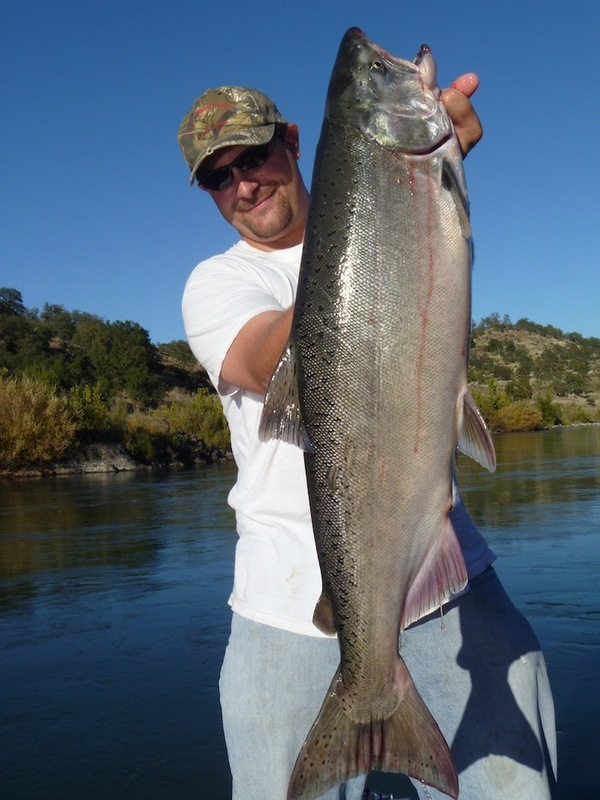 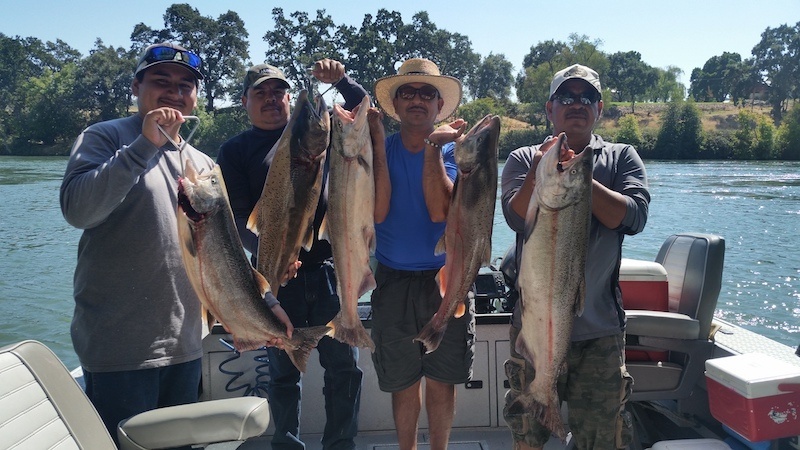 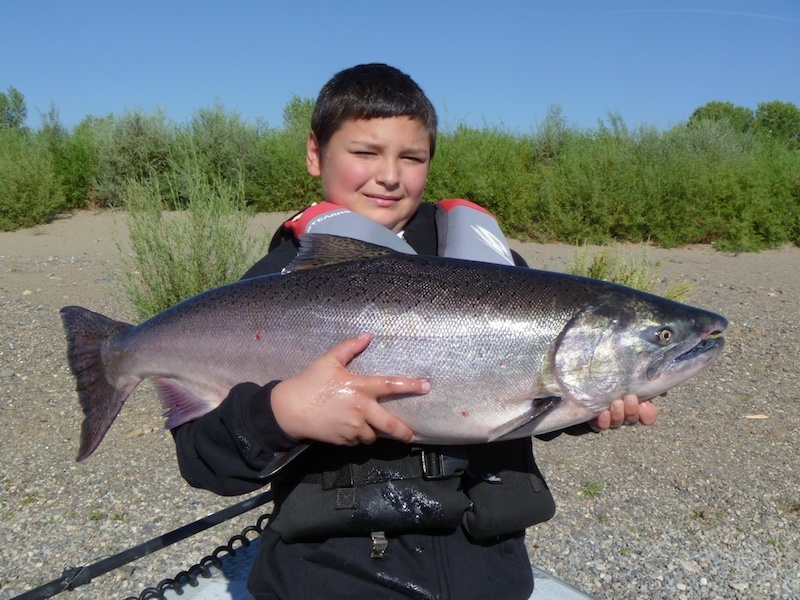 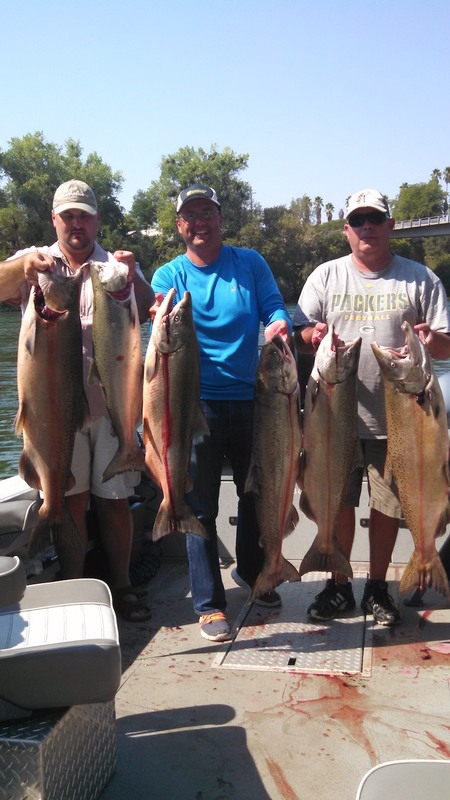 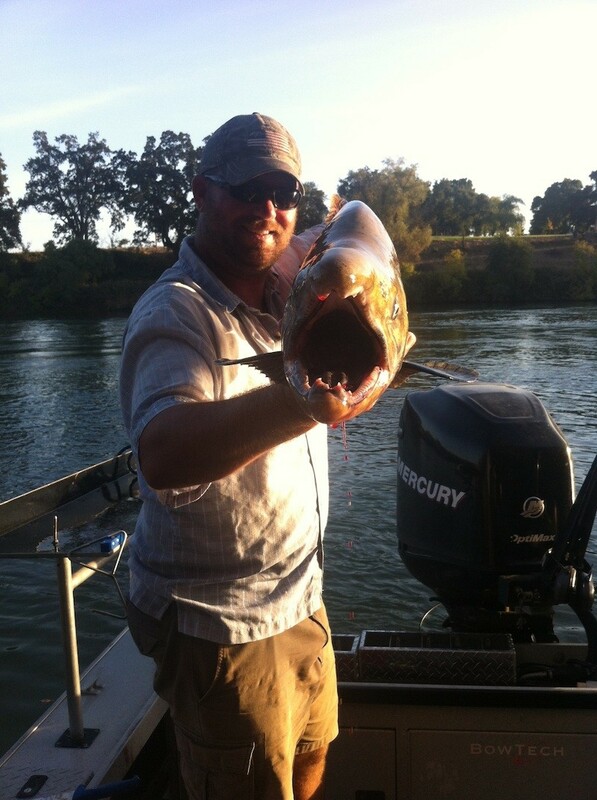 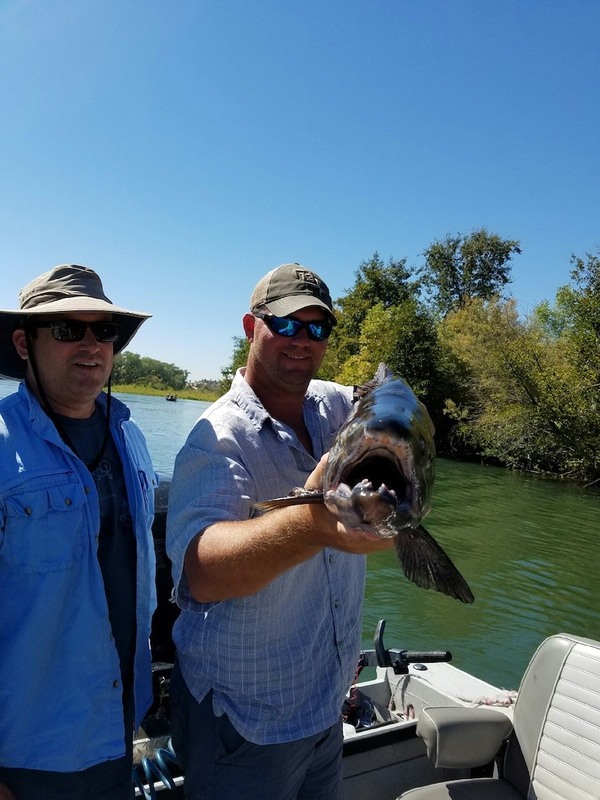 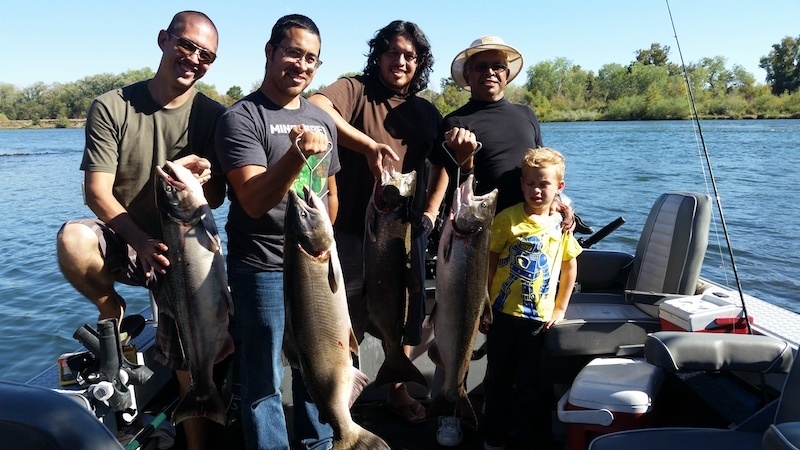 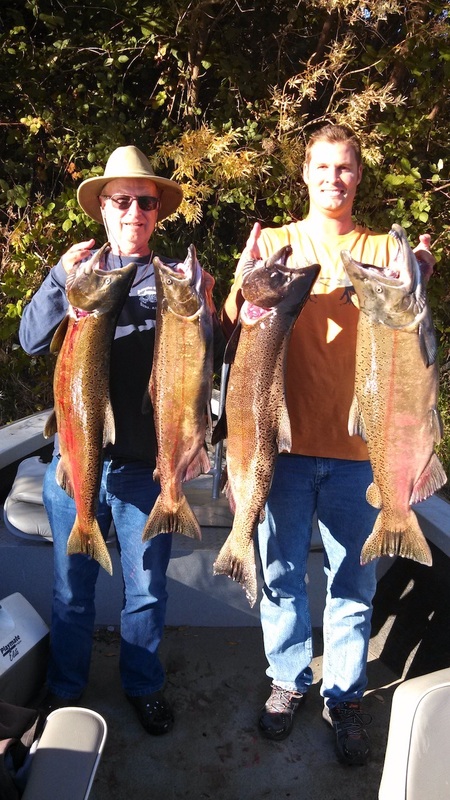 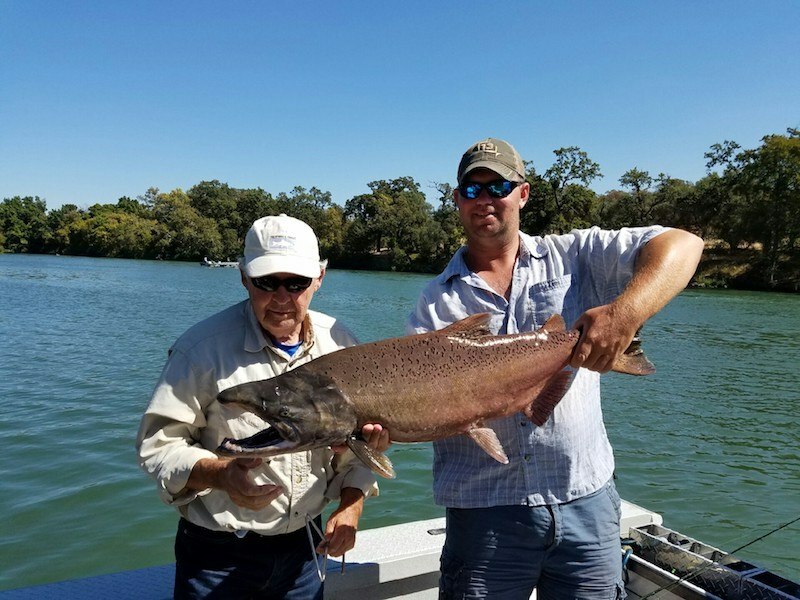 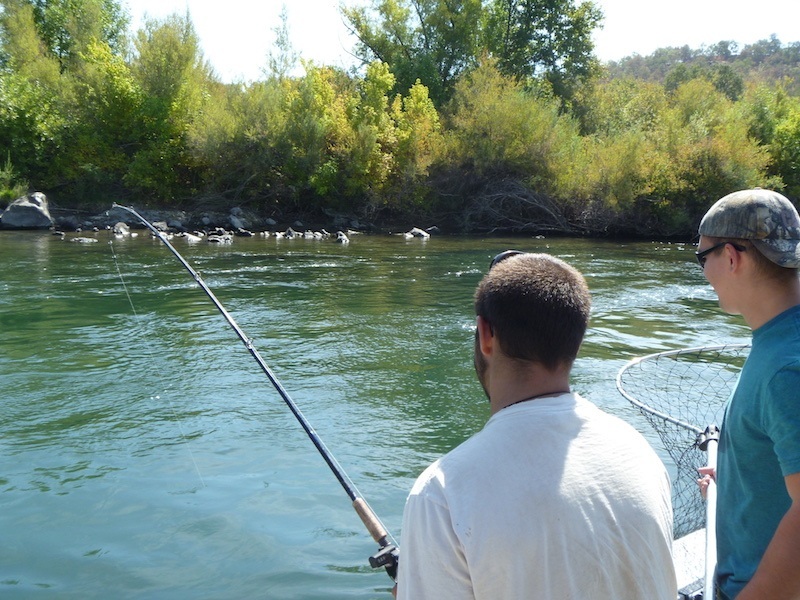 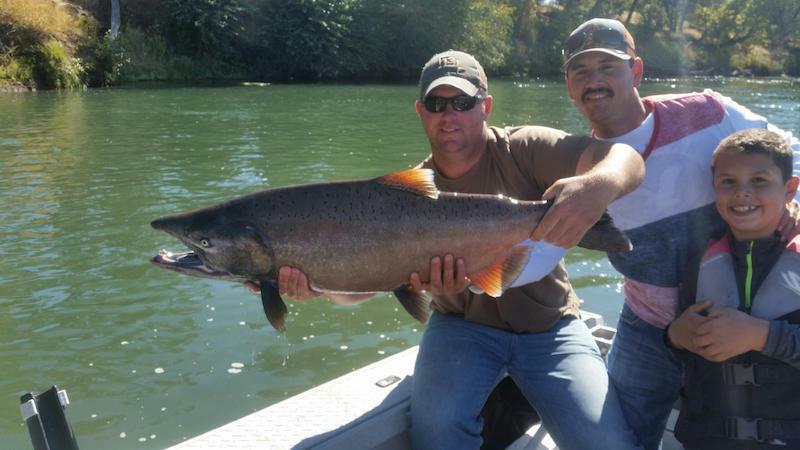 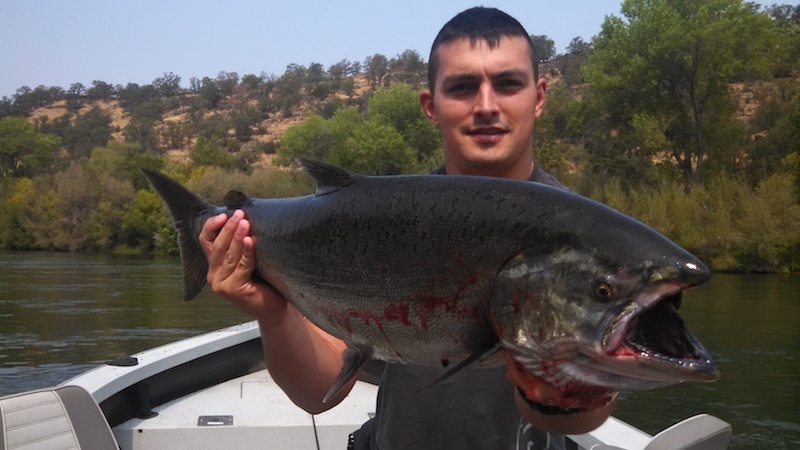 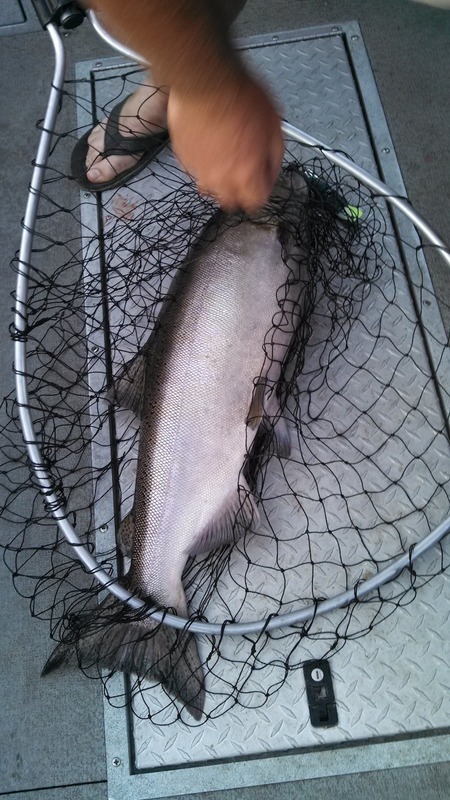 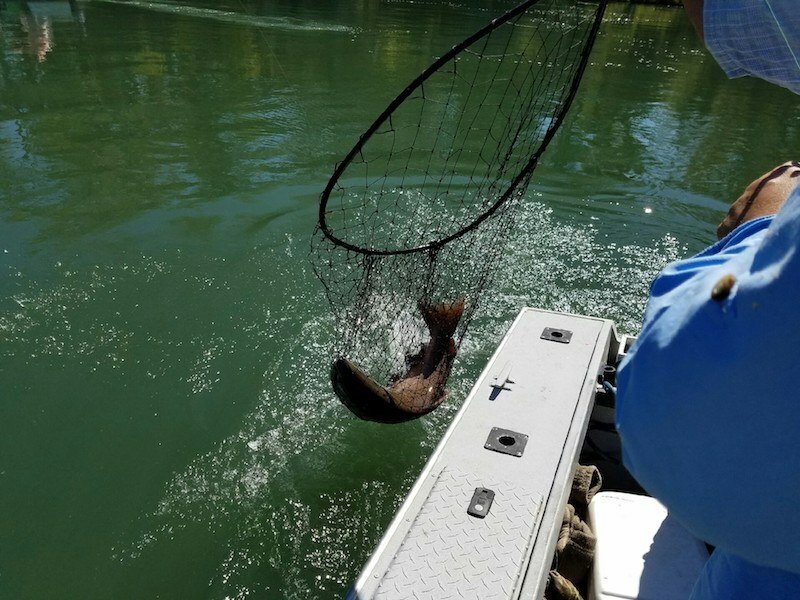 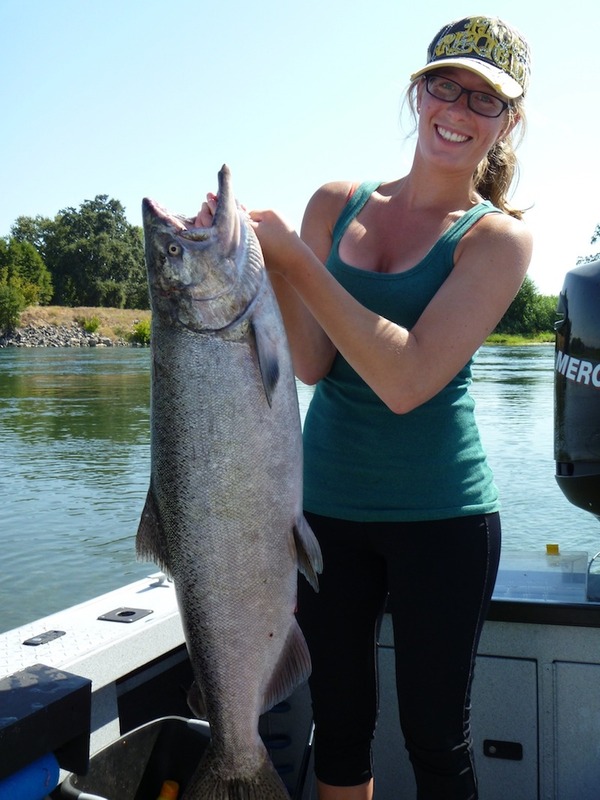 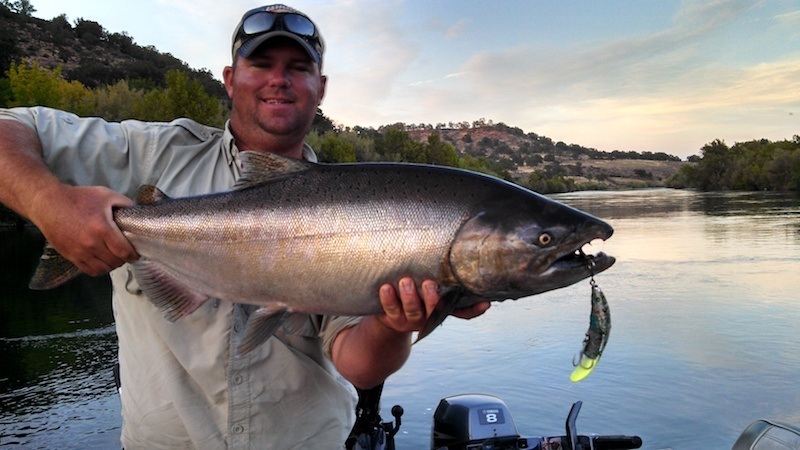 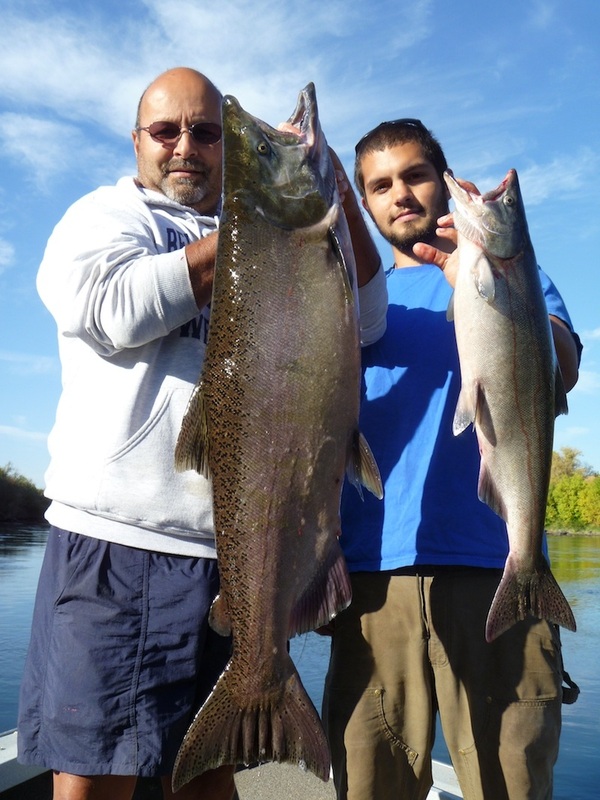 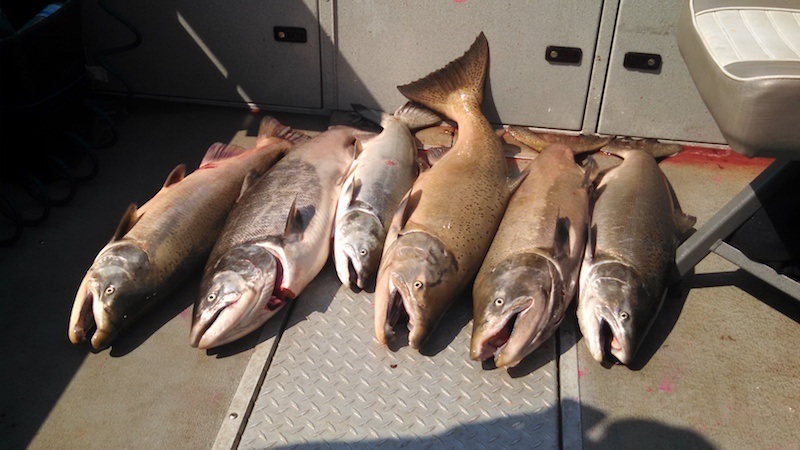 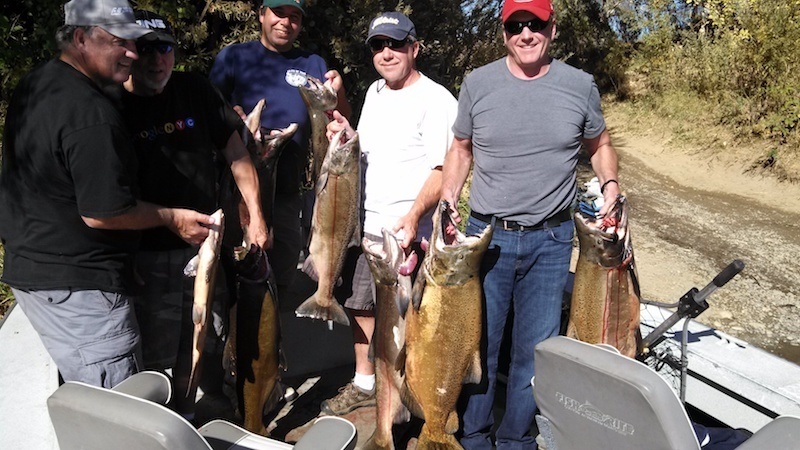 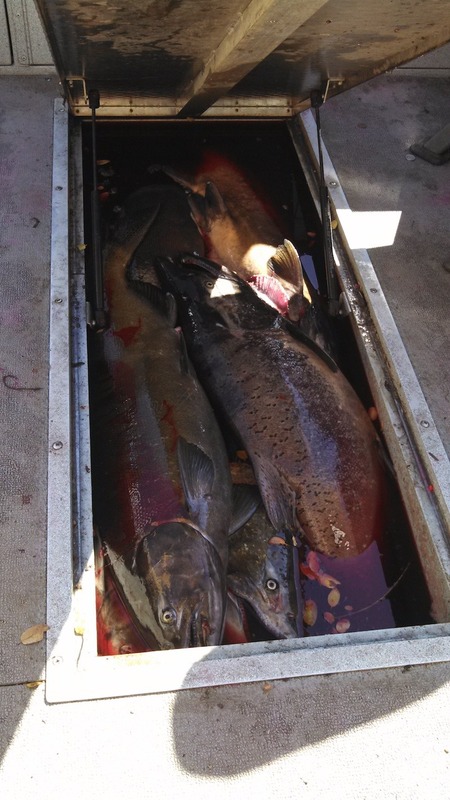 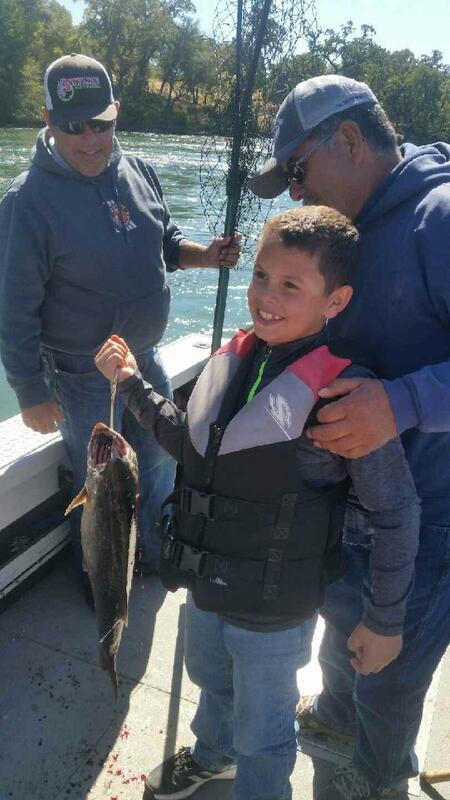 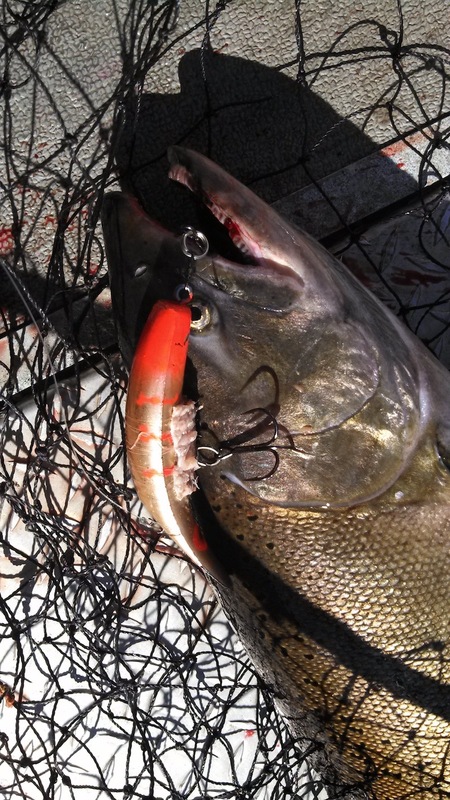 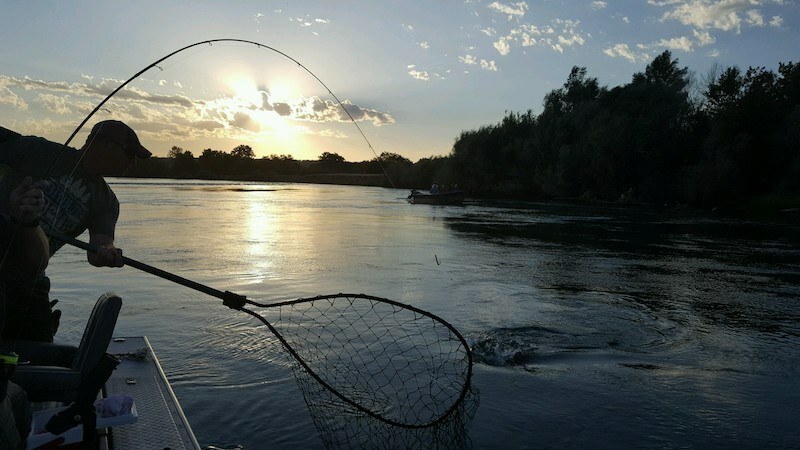 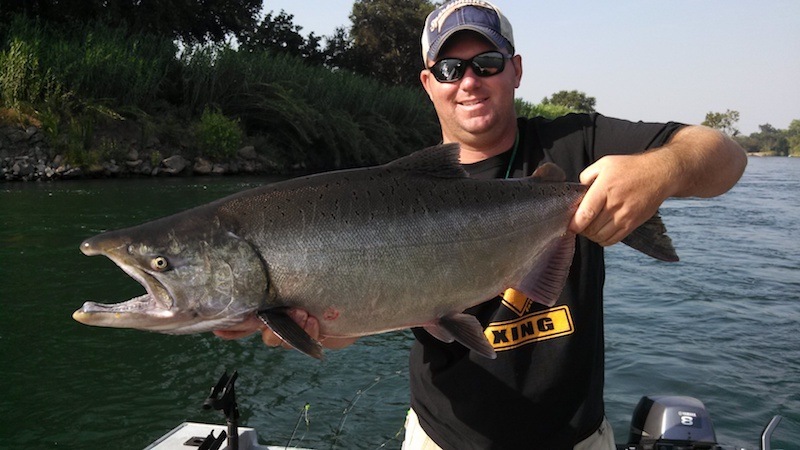 When it comes to fishing for salmon, northern CA offers anglers a wide range of opportunities in regard to methods and techniques to catch salmon throughout a diverse variety of waters. 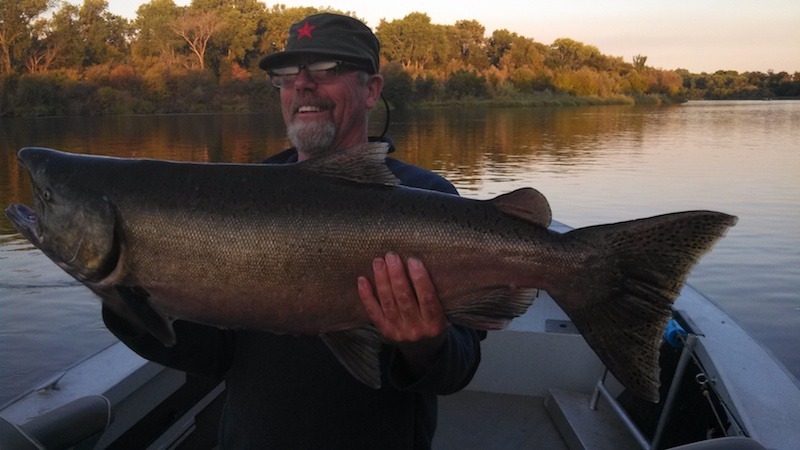 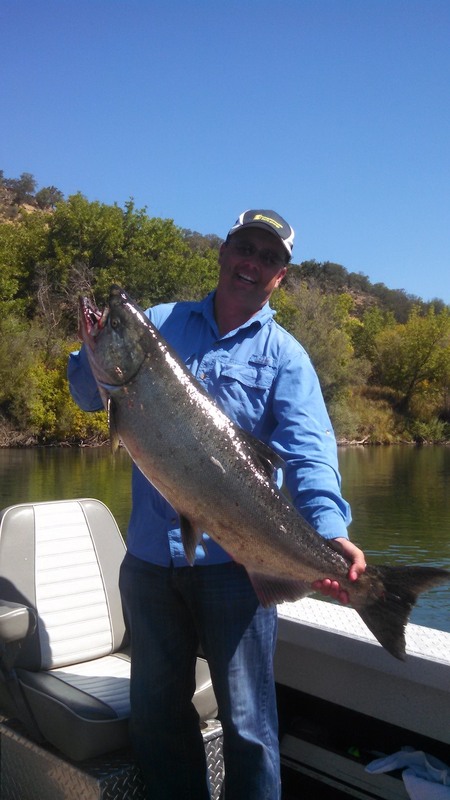 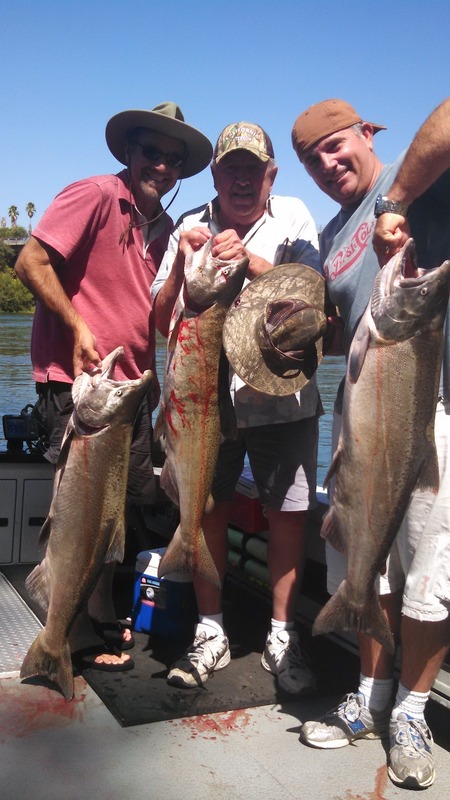 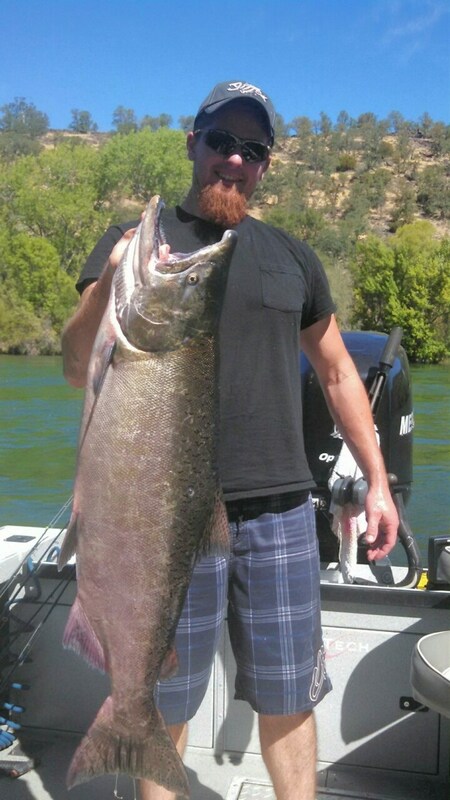 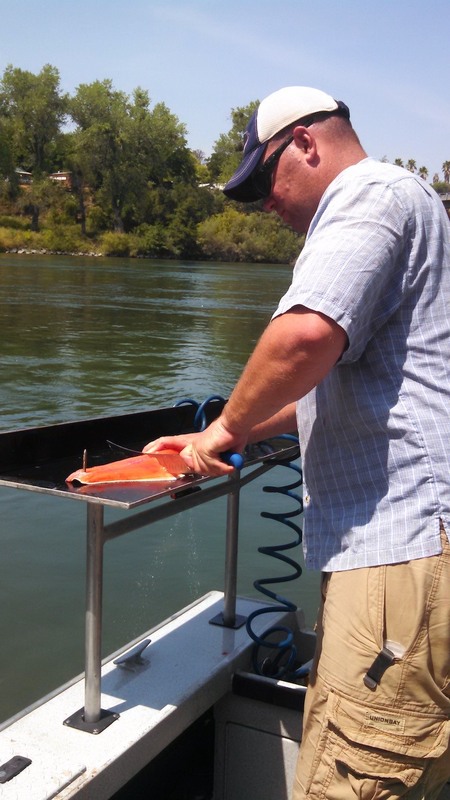 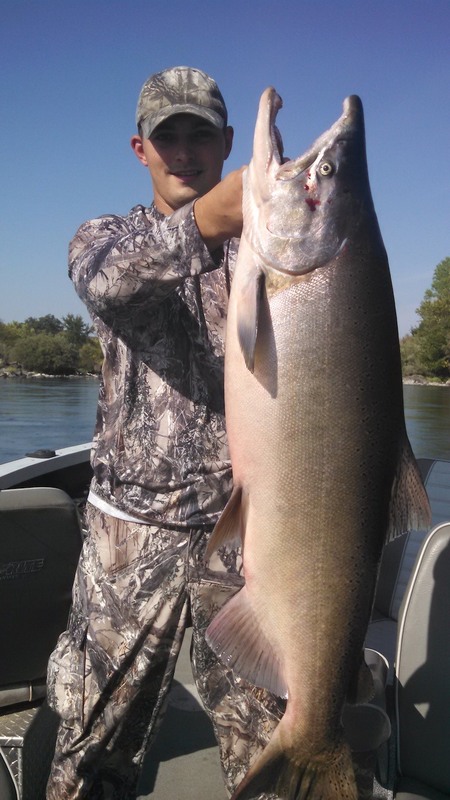 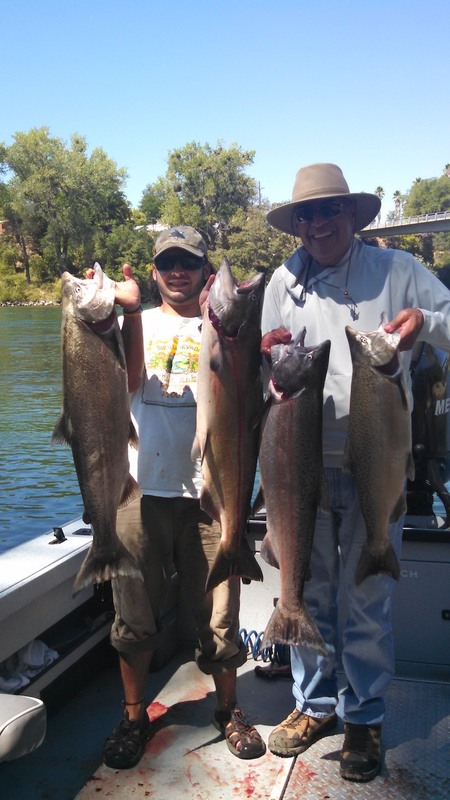 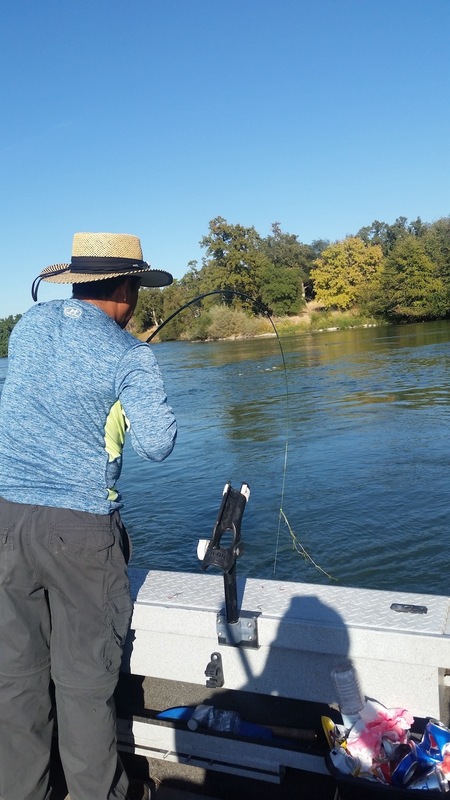 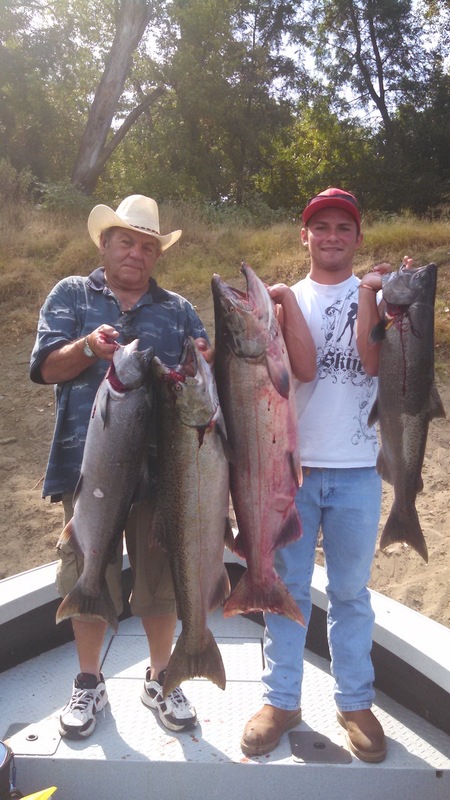 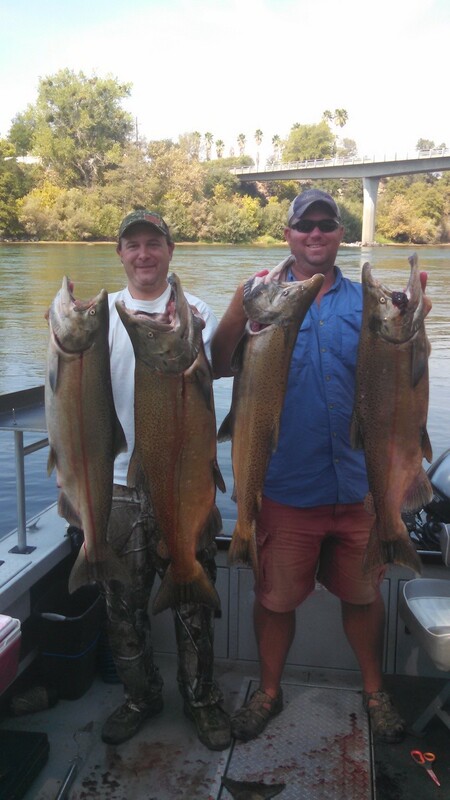 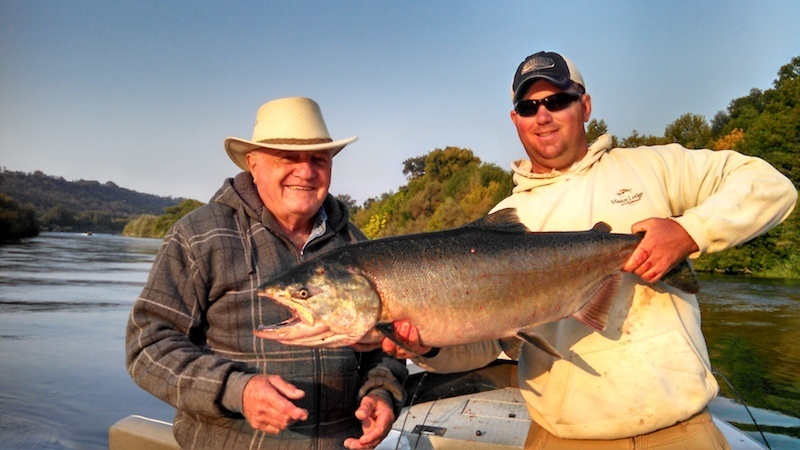 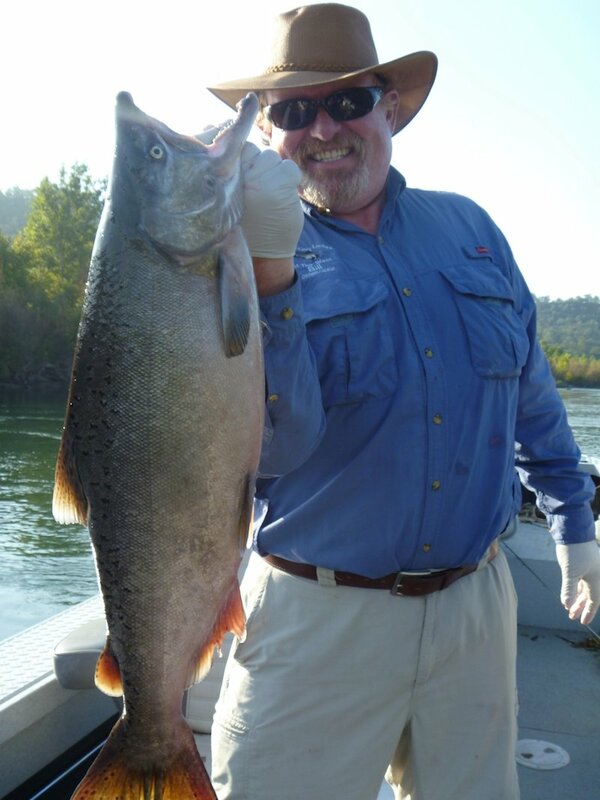 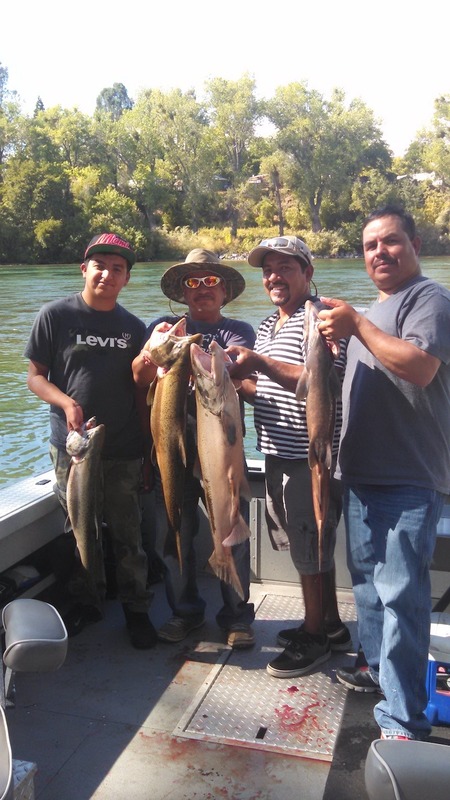 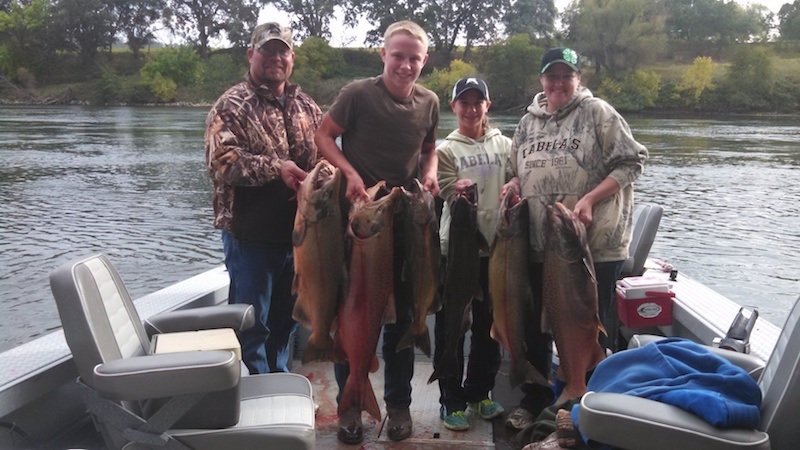 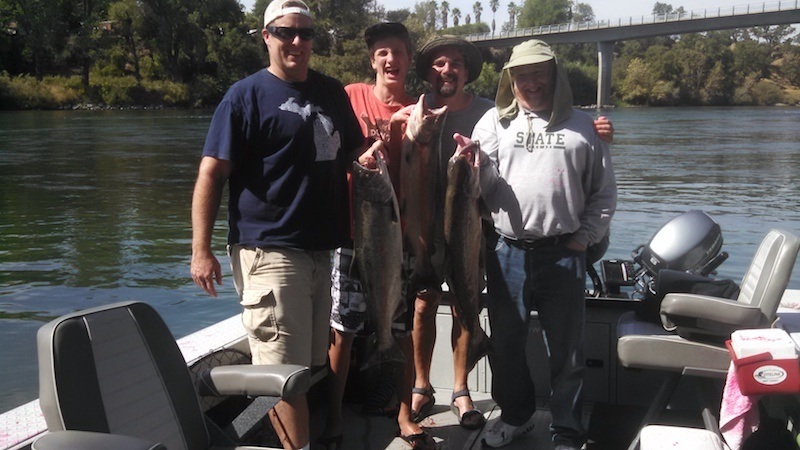 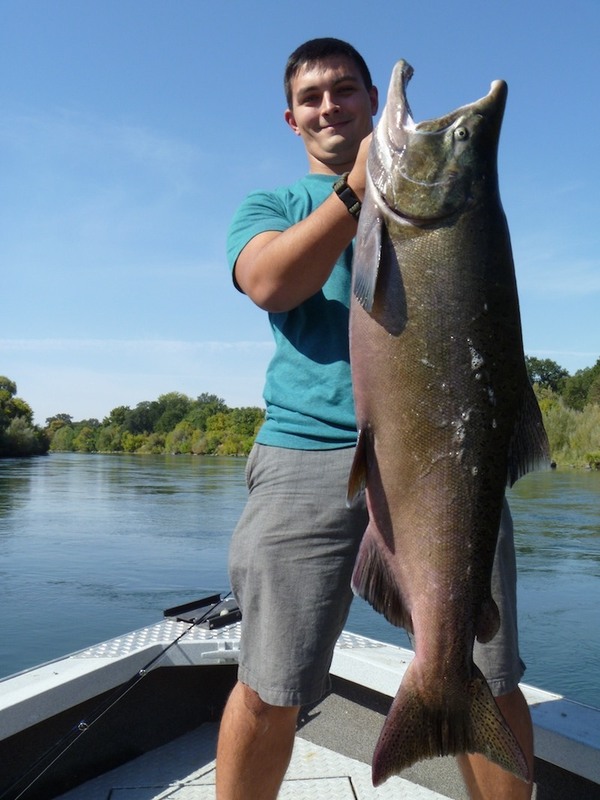 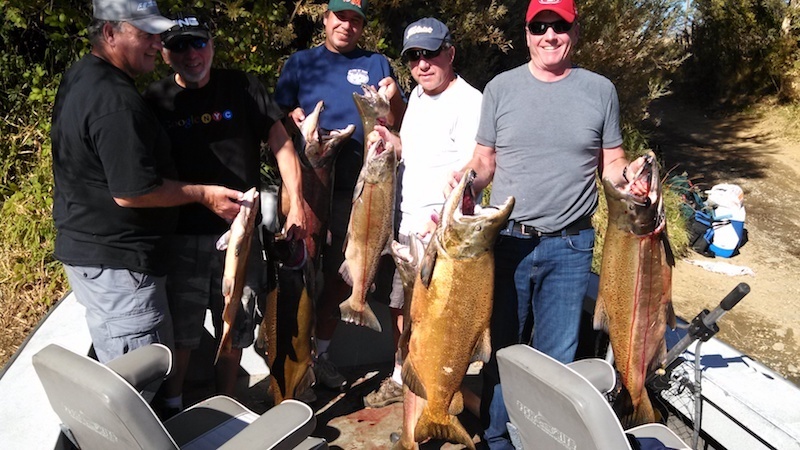 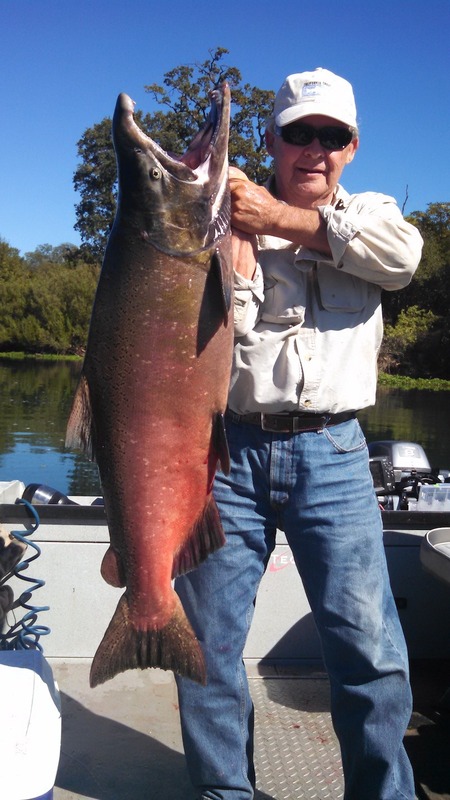 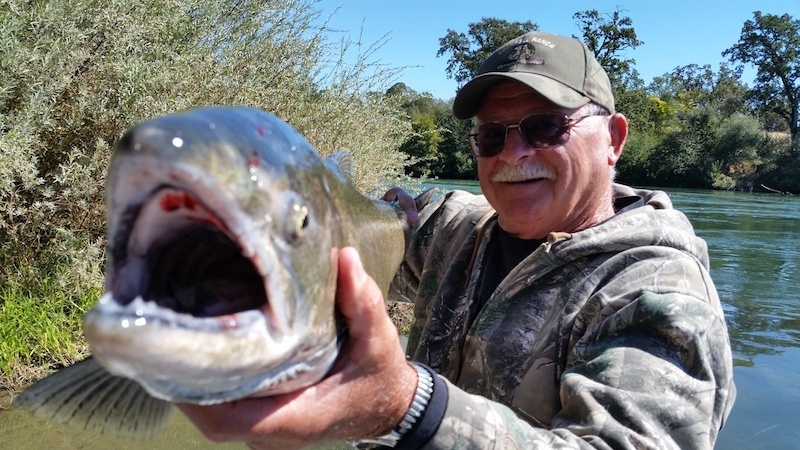 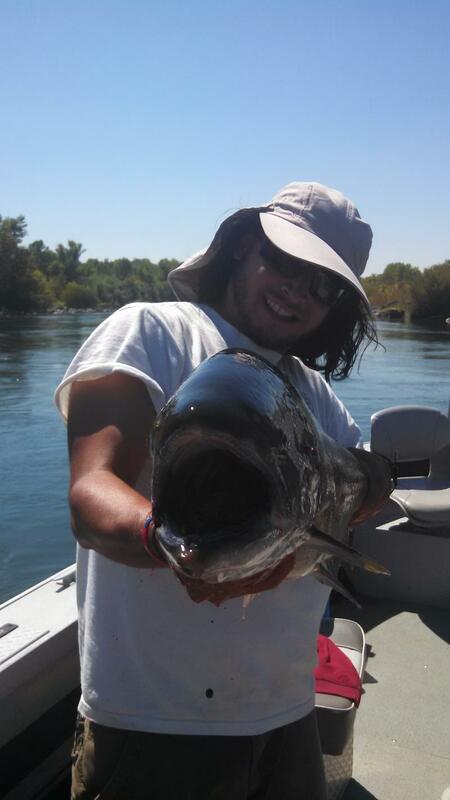 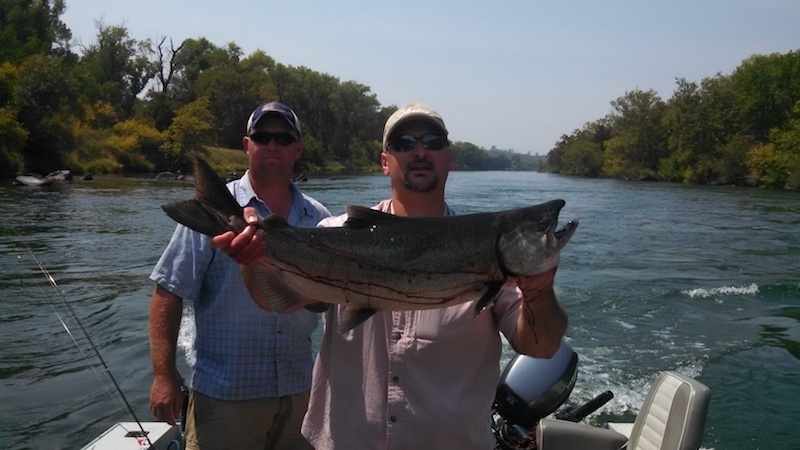 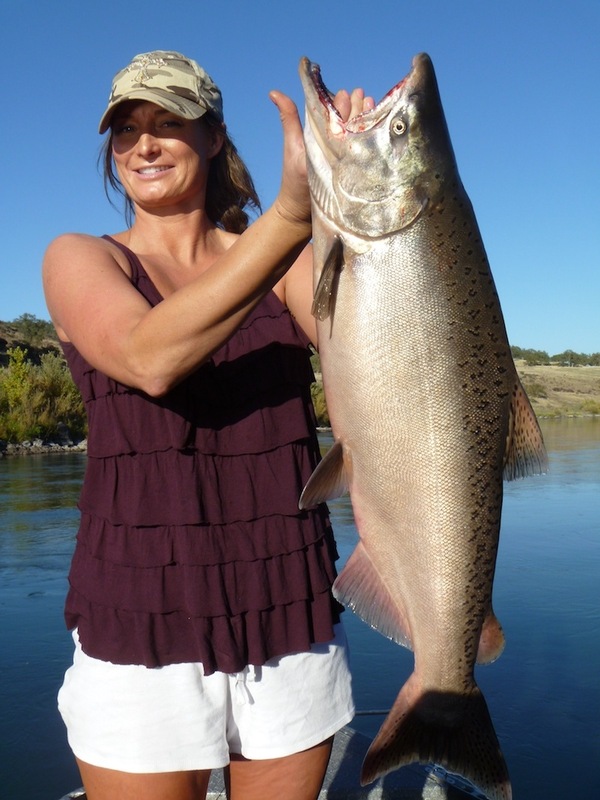 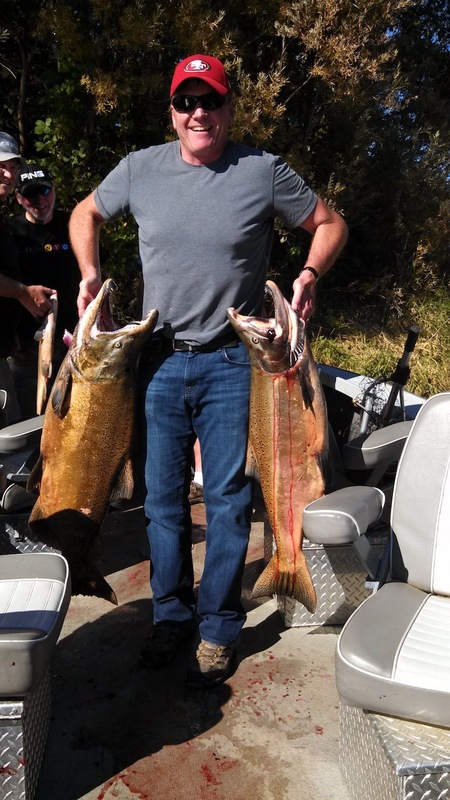 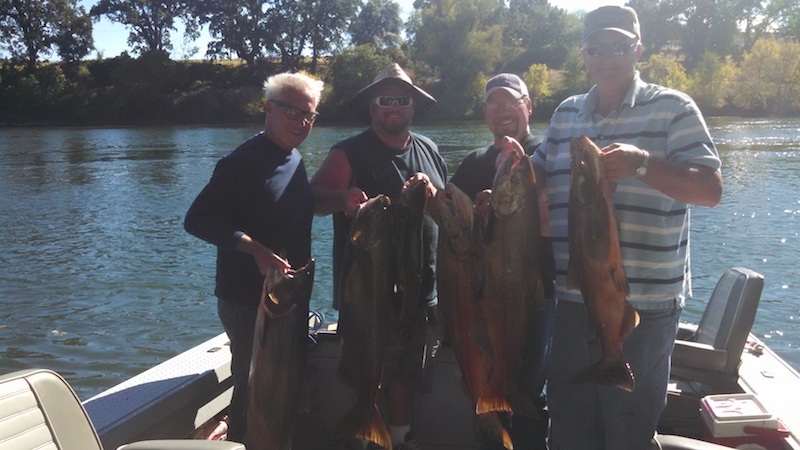 We typically start our salmon season below Red Bluff in July and then head upriver into the ‘canyon’ where we fish all the way into the end of the season in December (as long as river conditions remain favorable). 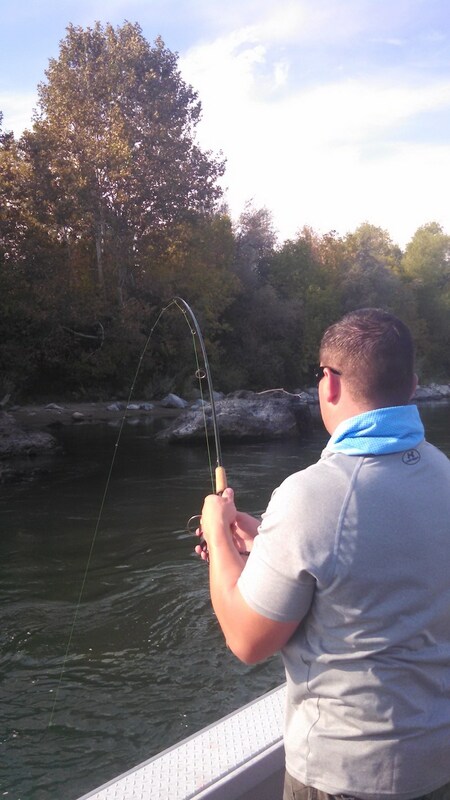 Throughout the season we employ a number of effective techniques including back trolling, back bouncing, side drifting, and boondoggling (dragging). 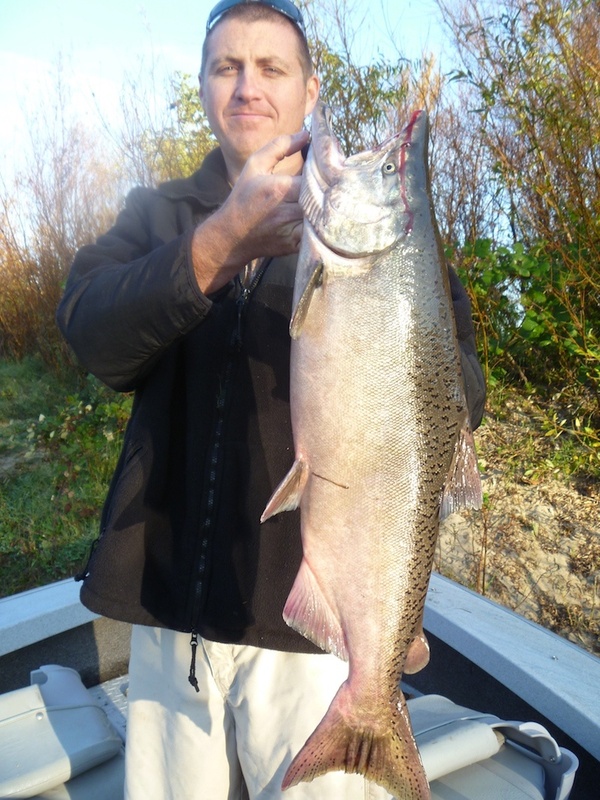 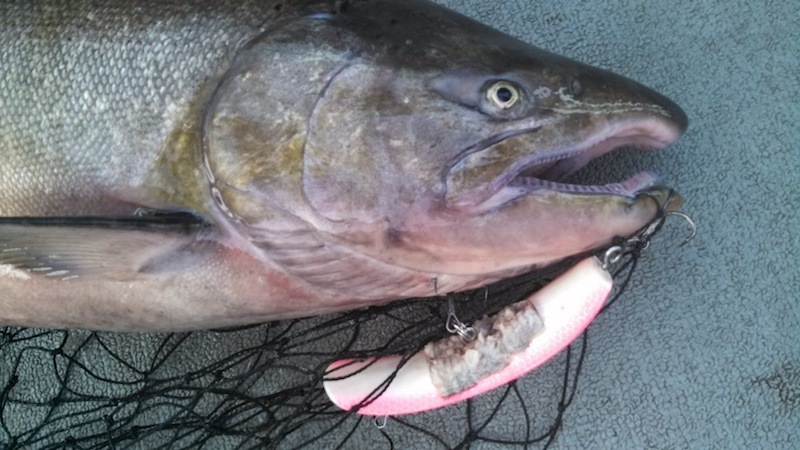 All of our approaches to salmon fishing are geared toward accommodating both novice and experienced anglers alike. 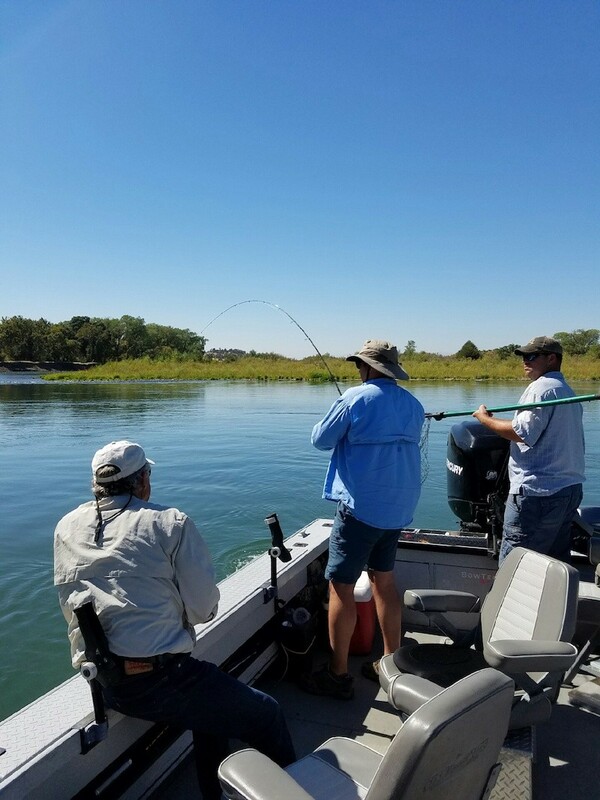 Personal instruction in a fun environment will give each passenger the confidence to reel in that “fish of a lifetime”. 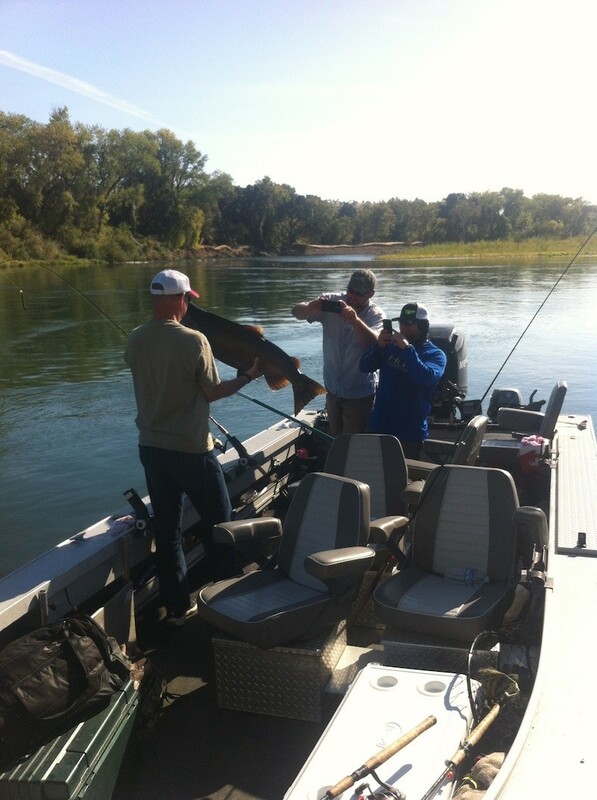 Our 24′ jet boat can easily accomodate 6 passengers in comfort and safety. 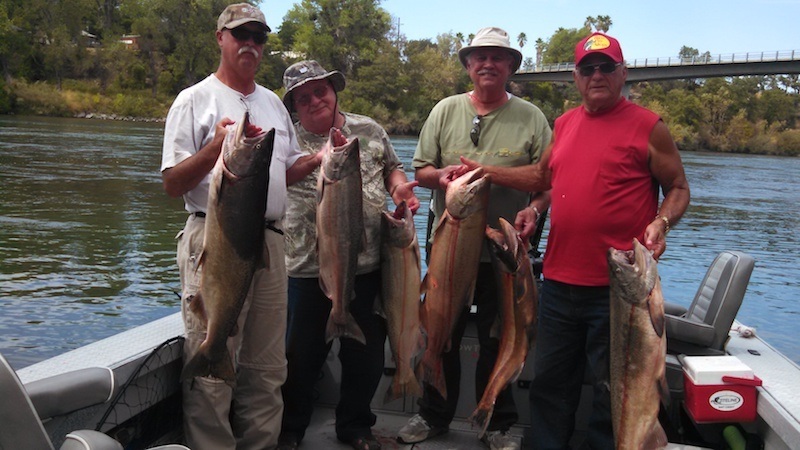 Included in your guided fishing trip are all of the rods, reels, terminal gear (such as sinkers, plugs, etc.) 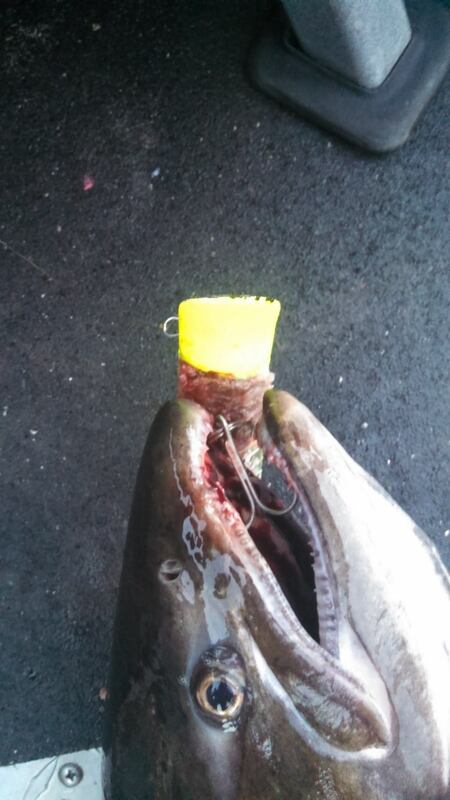 and bait, all of which are of the highest quality. 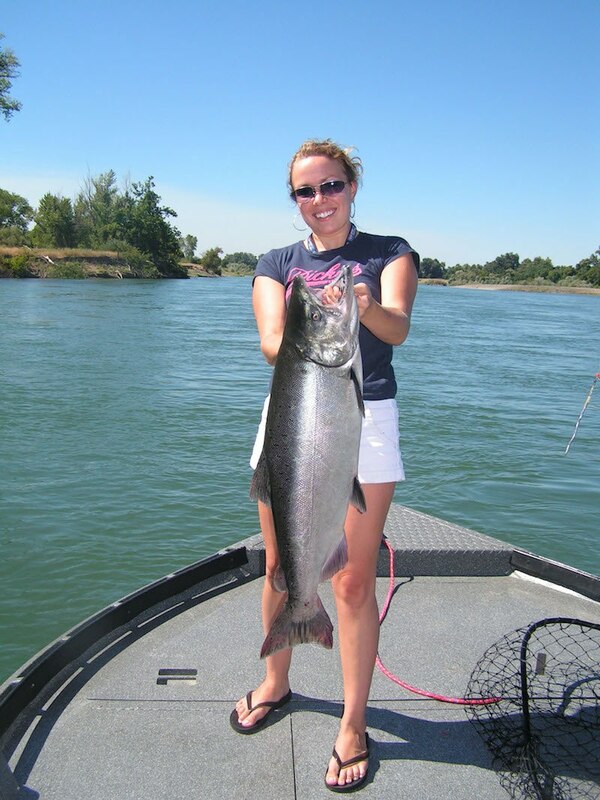 Instruction on proper techniques for the most effective fishing methods is always included and explained. 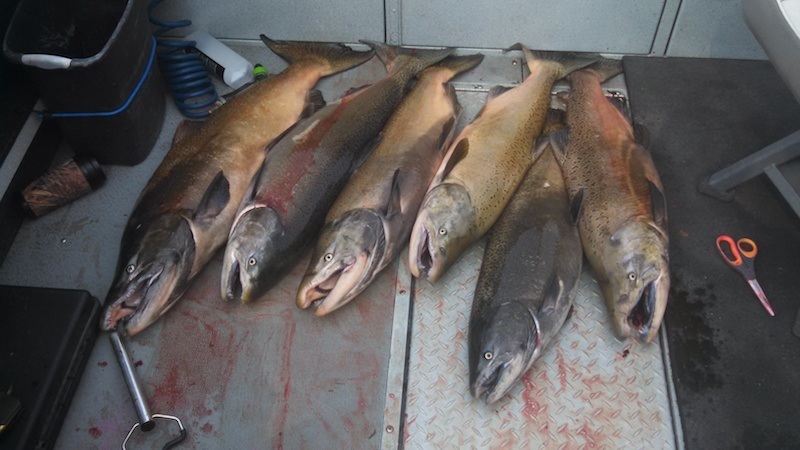 At the end of the day, we will clean and package your catch for the trip home as well. 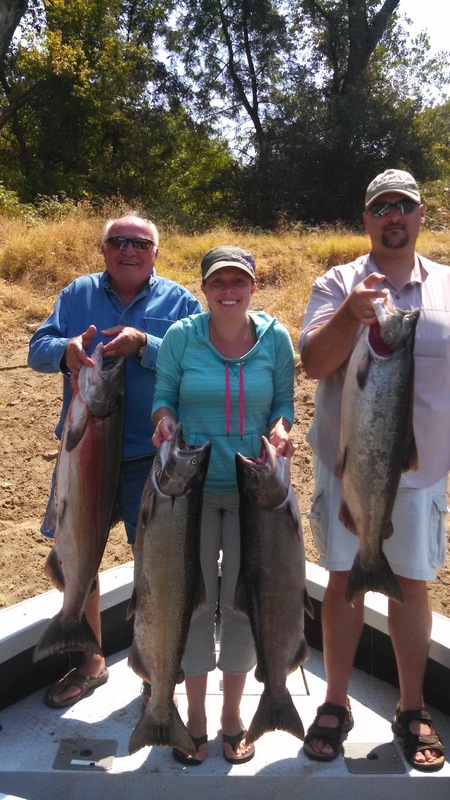 So, be sure to bring a BIG ice chest! 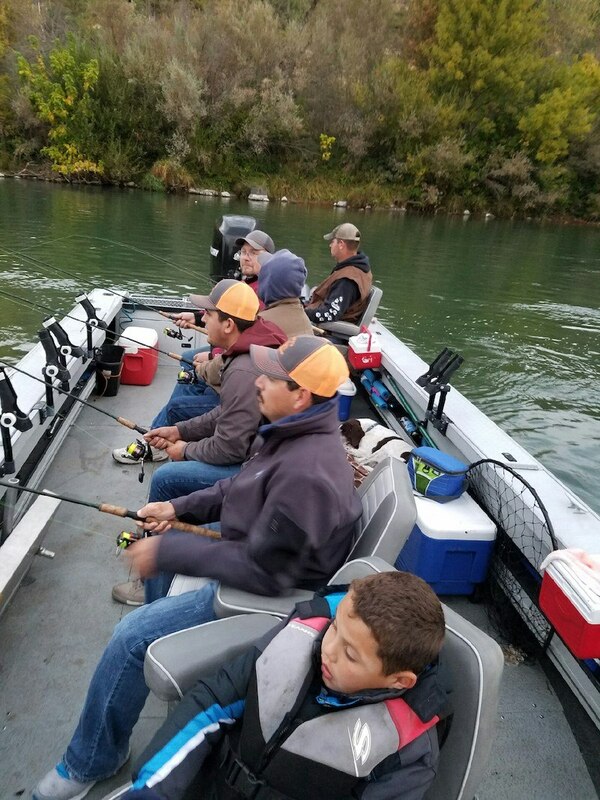 Anglers will need to bring a fishing license, lunch, beverages and weather appropriate clothing, including sunglasses and a hat. 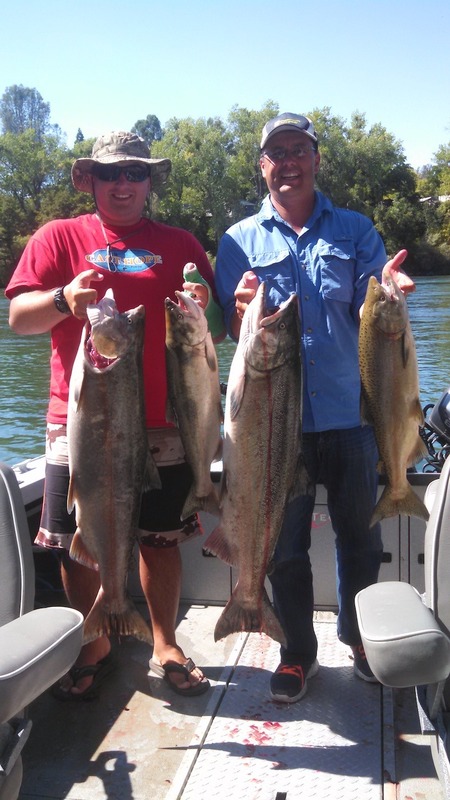 Remember to layer clothing, even in summer.